To deliver care effectively, and to be able to influence health strategy, practice, and policy, nurses must be able to access a tool-kit of management skills and knowledge. In the context of today's health services, these will guide practitioners to be able to be proactive in their influence on business and policy decisions which directly affect their work. 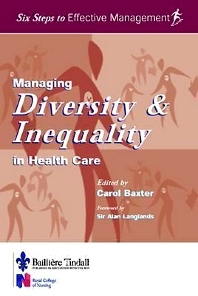 Soft management roles such as case management or people management are often accepted as a part of the job: other skills such as budget management and business planning are much more threatening yet equally vital to the effective and equitable delivery of care.